Smartphone technology has progressed in profound ways. Now you can use your savvy photography skills in digital form to create professional quality pictures without an expensive suite of programs. Here are the best photography apps available for the Appel iPhone to tap into those mad photography skills. 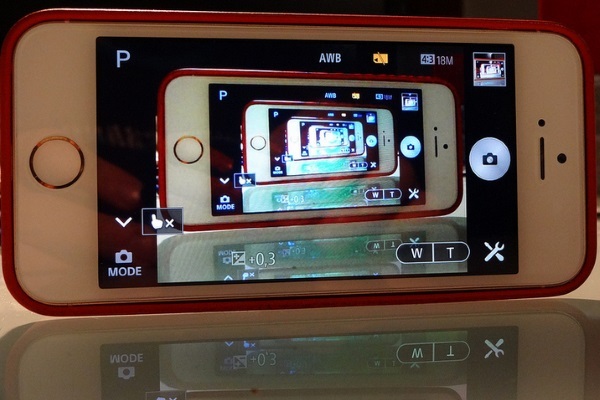 This app packs impressive camera settings to enhance the iPhone’s native camera app. Now you can adjust the camera for specific lighting situations and enhance exposure just light a high-end camera. Elegant and simple describes this photo app for the iPhone. VSCO Cam uses advanced filters and media for digital photo sharing just like your Instagram account. Sktchy is available to your artistic slant and inspiration on real world artistic mediums such as oil and pencil drawing. Sktchy captures photos and changes them into works of art by changing photos into drawings. This powerful photo editor allows you to perfect blemishes on face shots. It also features user-friendly touch and go photography. Photoshop Touch is one of the newest apps for photo editing if you are in touch with the Adobe lineup of products. It allows for additional effects and layering techniques. This photo studio app will give you the ability to creatively turn photos into works of art. PicsArt makes excellent collages and real-time photo editing layers. This free version of Photo Splash FX enables you to create full photo effects and selective coloring. It serves as a great platform for designing custom logos and backgrounds. PicLab HD is perfect for those photographs you want to attach an emotional element to. The app combines photo filters with a variety of text editors to create professional looking memes and greeting card level logos as an overlay. You can design amazing photos with simple touch and flick technology. Layouts and color filters can be explored by simply swiping and flicking over the photo to preview. This app takes creativity to the next level with over 40 filters. You can now apply instant retro or artistic filters offline and quickly. It also features the ability to attach voice recordings. You will enjoy these apps whether you dabble in the craft or you’re a professional photographer. Consider downloading one of these today to the iPhone and try it on for size.